This entry was posted on July 21, 2009, 2:50 PM and is filed under My Projects. You can follow any responses to this entry through RSS 2.0. You can leave a response, or trackback from your own site. Installing this on Windows is easier than on Linux. 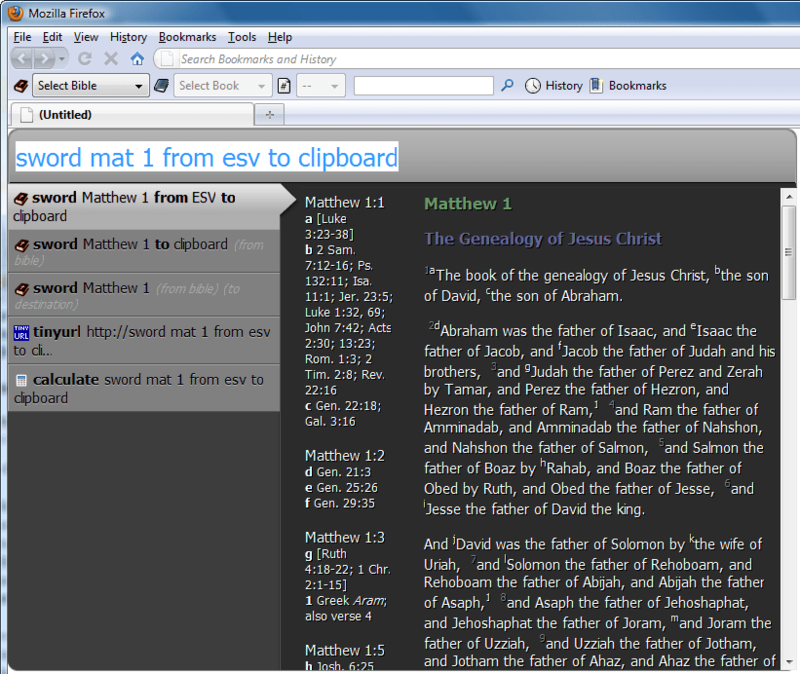 Linux doesn’t have e-sword support which has much more than text. That said, I still like the bookmarks. The next pain in Linux is the JVM, Ubuntu ships with a package (GCJ yes) called IcedTea which needs you to change every possible symlink just to get an install Sun JVM working with it. (PS: My Windows machines are VMs – so you are sure it works on 2000, XP Pro and Vista without VM issues.) 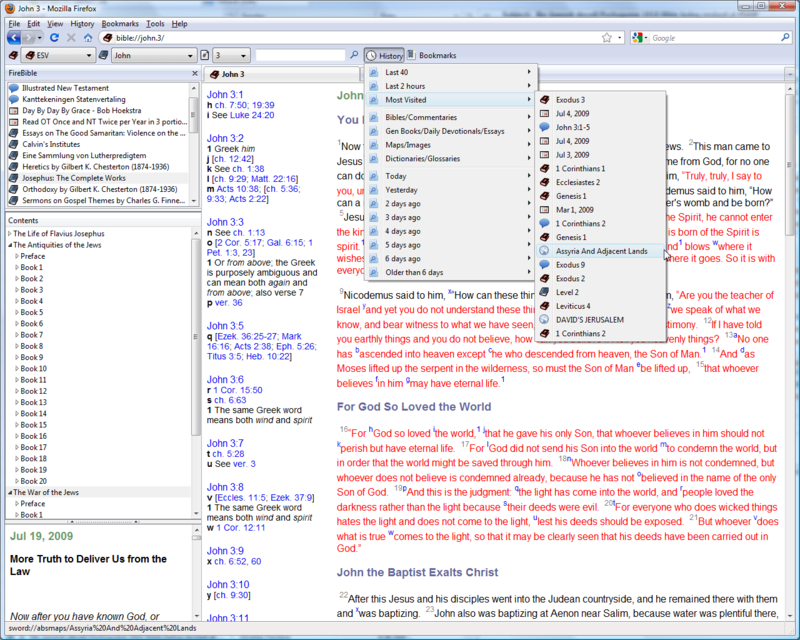 Unable to add works or remove them from within Firebible is probably what you’d be addressing in your next release. The interface is nice. 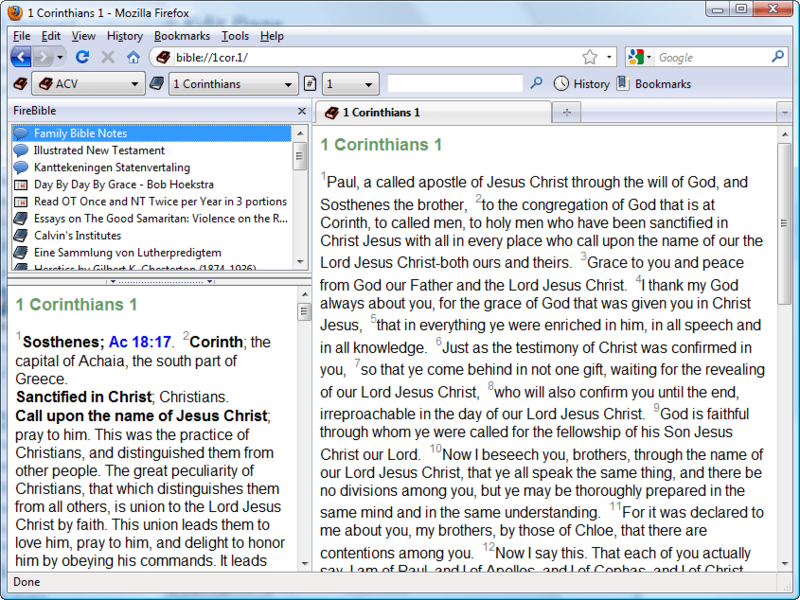 Ubiquity 0.5 works cool, tested on Firefox build 3.0.11, 3.0.12, 3.1, 3.2, 3.5 and 3.6. That’s cool. Wow, that’s some *serious* testing, thank you! As far as the Sun JRE was concerned, all I had to do was an apt-get sun-java6 (or something, I forget the exact package name) and it worked, I think it fixed up the *relevant* symlinks and installed the Sun Java plugin in Firefox. If that does not work, it would certainly not be too much fun for sure! Re: modules, totally agree; as I was updating the page, I realized what a pain it is to manage modules (not too bad if you use BibleDesktop which is part of JSword), so I’m hoping to add that to the next version asap. Plus Linux users get confused as Ubiquity is a LiveCD package available on most Ubuntu installations post 7.x. You could make this explicit on your page. Sorry I can’t edit prior responses.